Sharon Anderson grew up in Burns, Wyoming. She graduated from the University of Wyoming where she earned both her B.A. and M.A. degrees. She took her Ph.D in counseling psychology from Denver University. 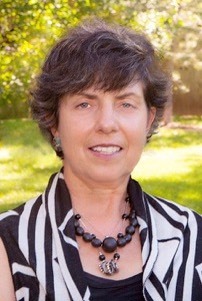 More recently she served as Director of Graduate Programs, School of Education at Colorado State University from 2006-2009. She is currently a Professor in the School of Education at Colorado State University. Academic Connections, International (ACI) conducted this interview with Dr. Sharon Anderson via Skype and this edited transcript was produced from that recorded conversation and notes. ACI: Did you have your eyes on the “prize” when you started as an assistant professor? Dr. Sharon Anderson: No, absolutely not. When I started it [the question] was more about whether I could attain the Associate Professor level. Since I was entering academe, my attitude was that I was going to try. ACI: How did you then come to desire reaching full professorship at CSU? SA: So really the shift in desire happened for two reasons. One of those reasons was personal—related to life circumstances. I was an Associate [Professor] for 12 years and during those 12 years, my children got older. Being a single parent, it was still not as though I was able to give less of myself to the parenting role, yet there were some differences. As they got older, I found that I could travel more to faculty conferences and present at conferences and not feel like I was should not or could not do that because of my primary role as a parent. ACI: What are some lessons you think you have learned along the way? SA: The first lesson, I would say, is [the importance of] scholarly research and productivity and that can never be overestimated when considering this process. That is, accomplished scholarly research is what you are evaluated on. The question is how successful have you been as a scholar, period. However, from day one I also held the view that I needed to enjoy the journey. I like to have fun and I prefer that I look forward to the day as an opportunity rather than merely a responsibility that has to be done. I would advise the importance of assessing whether you are enjoying the journey, because for me, if I were not going to enjoy it I would do something else. The other thing is about community. Being a faculty person can be very isolating; it is just built to be isolating, so we get to decide how much of a community member we want to be. We get to choose if we want to lessen the isolation, so for me I made a decision that one of my key contributions as a person in academe, was to be part of that community and invest in what was going on. I wanted to be visible, contribute and be somebody that someone who was in the assistant or associate professorship position could come to me and trust me. I wanted them to know I would be honest with them and not have a hidden agenda. I wanted them to feel I would give to them and not just try to meet my needs through them. ACI: What are some lessons that you think you have learned about charting the course of your career in the academy? SA: This is how I did it and people can judge whether this makes sense to them or not (laugh)…I decided as a part of my “enjoying the journey” that I would write with as many different people as I could in my department. Obviously, us finding some commonalities in interest so that the writing would be enjoyable for both of us was important. I found that helpful in multiple ways. First, was that I learned from these other people. Two, they got to know me and they were going to be the people who were going to be voting on me in the future and I thought that was important so that they would have some personal knowledge that they could assess me by, rather than hearsay. And three, it really gave me an opportunity for me to branch outside of counseling and counseling psychology. So I have written on [topics like] leadership and on Human Resource Development (HRD) connecting it to ethics because of colleagues; and I’ve written in areas and journals related to teacher’s education and teacher preparation areas. So these were journals and book chapters and another thing I did that worked okay for me, was that along with refereed journals I did some book chapters and I did write some books. I co-authored a couple of books and wrote some edited books, too. Some of those ideas would not be great at the assistant professorship level, but at the associate professorship level I found myself wanting to be doing what I really wanted to do. I wanted to write about what I wanted to write about. That is what I did and it worked. ACI: What are some of the spiritual lessons or insights that you have discovered in this process? SA: Regarding my personal life, one was not to lean on my own understanding. I got the idea from reading Proverbs 3:5 and 6. There were a couple of incidents where I found myself having a certain view about things in life, but after praying about it I found God changing my view to another side of the continuum. I also found myself emphasizing the importance of listening and then obeying—the importance of consent and then submitting. I got that idea from Proverbs 4:20. That is, when God said this about an “area over here,” I found I had a choice about agreeing with Him and consenting to what He was asking me to do, or saying within my heart that I didn’t want to do that! That makes no sense to me, you have to be kidding! God what are you thinking?! Another thing that I learned during my journey from Assistant Professor to Associate Professor came from reading Philippians 2:3. It was not to esteem myself more highly than I ought, but to see others with that view of importance. I can think of times where I felt like I was “cheated” and asking why others were not patting me on the back. I thought at times, why wasn’t I getting the “good job Sharon” attention and asked God why weren’t people noticing me? That has the potential for really chewing up a person on the inside. I remember thinking of that verse in a particular circumstance when I was in my office thinking about someone else and it came to me very clearly, to get my eyes off of myself, recognize what this other person is doing and be happy for them. I realized I had a choice about that. The last scripture I’d mention is about not being anxious about anything. That continues to be an ongoing one for me, among many, and I get to decide about that every day professionally and personally. God’s word says not to be anxious about anything but to pray about everything—so I get to choose. So, that’s the four or five spiritual lessons that I think I’m learning in an ongoing way. ACI: Is there any advice about keeping your spiritual life vital in the midst of all the obstacles to promotion and tenure? SA: Yeah…take time. This is something I struggle with, but take time; make the commitment, to have that fellowship with the Lord. And it can be just as an ancillary fellowship with the Lord. Recently the Lord revealed to me while reading John 15 about His being the vine and we are the branches. I’m still tussling with this, some in my head and some in my heart. I have truly found myself in the position of having…like leading the way [in my life]. My attitude has been something like, “Jesus, I’m glad you are with me.” However, that doesn’t really need to be the picture of my fellowship or the picture of the kind of relationship I am to have with Him. The real picture from that passage is that it is Christ…and I am with Him. That’s coming to me through recognizing the importance of that relationship with Him, by spending time in the Word and in prayer time. Sometimes it is just spending some time “hanging out” with Him in my heart. So my advice or my encouragement to those who have a relationship with Christ or want that relationship with Jesus is to make it or clarify with yourself, which picture is it? Is it me and Jesus is along with me or is it Jesus and I’m along with Him? ACI: Without necessarily mentioning any names, were there any mentors you had in helping in this navigation? SA: Yes, I did. Mostly I had informal mentors that weren’t identified for me, although some departments have them and I think that can really be wonderful thing. That was wasn’t my experience and I don’t begrudge it. So, what I had were mentors in different areas. I had one or two who invited me to write with them. One of them was in my area of ethics in counseling psychology and psychology, and that was awesome. I had another mentor who was very politically perceptive regarding the department and in the college. He would give me his view--his ideas about things, in order to be helpful to me on the journey. I had outside mentors like you [Jim] who encouraged me to be that person in academe who has a commitment to their relationship with Jesus and you asked questions like, what are you giving spiritually to your colleagues and students? ACI: What surprised you about this last “hurdle” in attaining full professor status? SA: The curve ball came at the end…or really afterwards. There was a bit of disorientation. I asked, and now what? I was in that spot for six, maybe twelve months and my motivation dipped. I asked, how much longer do I want to do this job? I was not prepared for that and no one had mentioned that to me. It very similar to me like when I finished my Ph.D. There was an emotional letdown and the feeling, now what? I’ve recovered now (smile and laugh). ACI: Do you have any insights for our diverse readership? SA: I would say probably no matter who you are or what department you’re in, there are some relatively consistent necessities…or consistent parameters or goals that are going to be expected of a person. I noticed in reading the two previous interviews you had in this series, that they both said your production, as a scholar is critical. That is what you’re going to be assess by. Do I think that depending on the difference [ethnic and gender differences] that there are additional struggles you’ll face? The answer is yes I truly believe that. It might not be conscious on your colleague’s part and yet it’s there. I would not want to be unrealistic about that. The clear fact that there was one, I believe only one female Full Professor in my department in the period of time before I was promoted, when at the same time there are seven or eight male Full Professors. In addition, two or three other female Associate Professors could have or did try for Full Professorship yet were not successful. You have to ask some questions about that. I'm not a person of color so I don’t have personal experience with that. I have had conversations with people who fit into that category and they say there are additional challenges, not being white. And so yeah, I would say there are additional challenges. Some I know personally and some I know just from what people have told me. ACI: Do you have any suggestions about meeting those challenges, other than merely being aware of them? SA: Find support, whether it comes from inside or outside the department. I hope that it’s there for the person. Look for it—don’t assume that it is not there. It’s going to take some trusting on those people’s part to find support and mentors. I would also add that at the Assistant Professor level you may have to bite your tongue and not always say what you want to say because your peers will be voting on you. Some of that evaluation is objective and some of it is subjective. I think that’s true. At the Associate Professor level there might be some more leeway about what you can say. So, yes, look for support and look for good timing for voicing your concerns. ACI: How has “fitting in” with your colleagues played a role, positive or negative, in your academic journey? SA: I think it goes back to my comments about being a community member and being a part of the community. Fitting in is about being a member of the community and seeking out opportunities to write with and do research with my colleagues. That includes supporting my colleagues where they are in their academic journey. That works for me as a person. There is also time for some social interaction with my colleagues, but less on the department side of things and more on the program side of things. So with our counseling and our career development program there has been more opportunities for social interaction and I have done some of that. But I’ve had to balance that with my responsibilities as a single parent so that my children don’t feel like mom is always gone. So I’ve chosen carefully when I’ll do those social things and when I won’t. ACI: Besides the academic hurdles, do you have anything to say about personal hurdles outside of academe that affected you and what you learned from that? SA: On the personal side of things, my being a single parent presented a challenge. I chose two adopt my two children which meant an additional role in life. There is also the challenge of being a Christian in academe. I am in a department that on the continuum of acceptance might be lower than other departments. Therefore, that’s another challenge I face. Those would be the main two that I can think of. Academic Connections, International wants to thank Sharon for her contribution to this informative interview. We hope our readers will profit from such things. We also want to encourage our readers to be sure to check out all three interviews in this series that takes a look at the process of reaching full professorship. This interview Dr. Sharon Anderson completes this series.